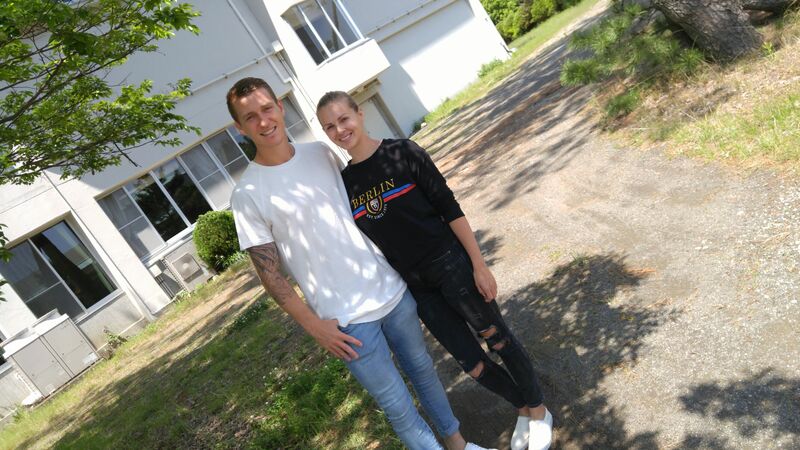 Mitchell Duke, who also played for the Australian National Football (Soccer) Team, is now in his 4th year at Shimizu S-Pulse Football Club in Shizuoka City, a member of the J1 League with a long tradition and history. He gracefully agreed to an interview to answer questions and express his views on culinary diet and especially vegetables in a region which boasts the largest official number of varieties in all Japan. Question: Dear Mitchell, thank you so much for sparing your time. First of all, what was your daily diet back in Australia before moving to Shizuoka City? Mitchell Duke: Quite heavy, actually! As a typical Ozzie (Australian) it started right away with enormous breakfasts with eggs, meat, avocadoes, bread and what else. In comparison, Japanese breakfasts would amount to calories ingested in our comparatively lighter dinners. Lunches and dinners still included large amounts of carbohydrates, what with all the steaks and pasta! Q: What has changed since you came to Japan? MD: Everything! I immediately began in earnest to research more into nutrition to the point of taking a TFE course in nutrition. First of all, I cut out the red meat to shift to a pescarian (fish, especially white-fleshed fish) diet. I also came to bypass most dairies although I still eat eggs. And of course, I came to pay more attention to all vegetables of all kinds. 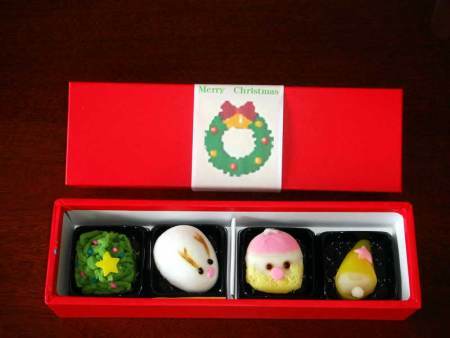 Q: Do you find it easy to maintain your new diet in Shizuoka (and Japan for that matter!)? MD: Yes, indeed! There are enough restaurants (I do have to eat out, what with trips and inevitable socializing) with enough variety to allow me to choose food according to my priorities without much of a fuss. Truth to tell, my teammates often indulge in plenty of meat, especially at their favorite yakiniku restaurants. 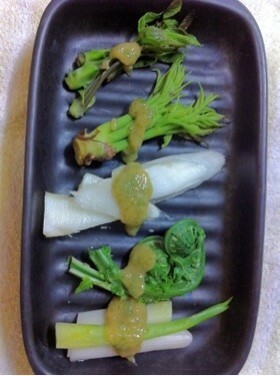 In such cases I keep to grilled vegetables and dig a lot into the kimuchi! LOL. One thing is sure: I keep my eyes and ears open for new venues and possibilities! Q: Can you obtain your requirements when eating at the club facilities? MD: no problem there! Meals are served on a buffet style basis which allows me plenty of options including heaps of vegetables and salads! The food there is not only plentiful, but definitely above average cafeteria! Q: Where do you usually make your daily food shopping? MD: So far I have used the local Max Value supermarket and other local shops, but I must admit that I probably need to investigate a bit further! The more options, the better! If you have any suggestions, I shall be the happier for it! 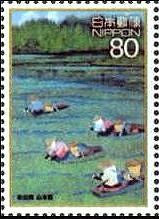 Q: Do you consider Shizuoka an easy place to follow your diet compared to the rest of Japan? 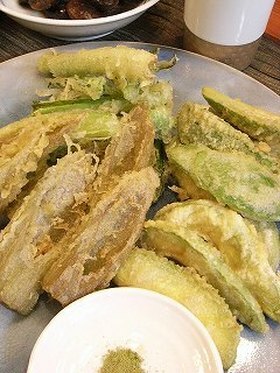 MD: Yes, I may say that Shizuoka is arguably the best place when it comes to satisfy my personal dietary requirements, especially when you consider that it is an endless discovery! When you choose to concentrate on vegetables, the variety offered here is nigh unbeatable! The neutral weather plays an important role when it comes to a yearlong search for the best vegetables! Q: What are the main benefits from your present diet? MD: First of all, weight control has become so much easier to attain. And I actually enjoy the whole experience. I haven’t been sick for a long time, and most importantly I do recover faster from fatigue or injuries inherent to my occupation! The few times I do have to ingest meat I always end up feeling sluggish the next day! A kind of food hangover! Q: The last question: would you be kind enough to introduce one your favorite restaurants to our readers? 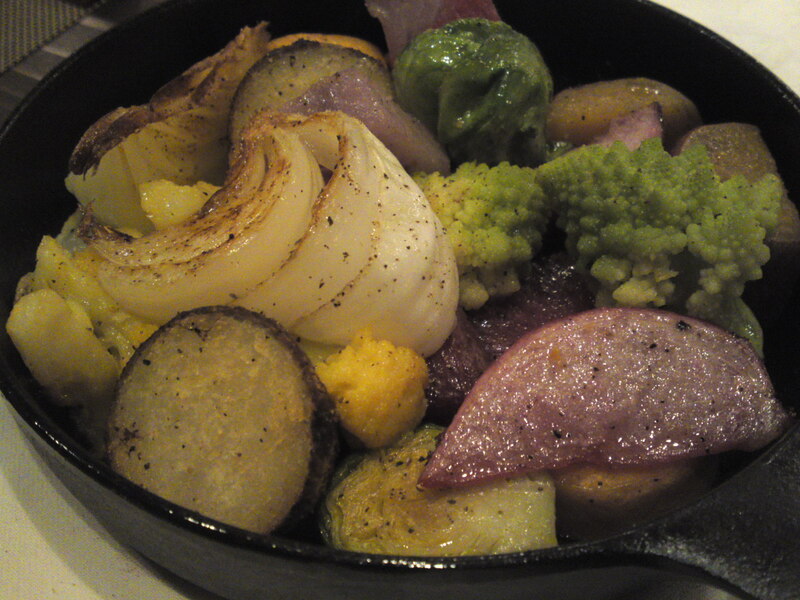 MD: Ristorante Massimo Italian Restaurant (89-1, Miho, Shimizu Ku, Shizuoka City. Tel. 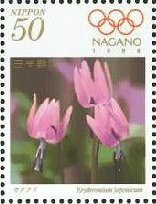 : 054-335-0030. http://www.geocities.jp/granmassimo/)! -Dear Mitchell, thank you so much for sharingｇyour time! It was a rare pleasure! -You are most welcome, mate! I was asked by new Czech Friend IVY if I could come up with some tempura and other Japanese recipes to accommodate wild mountain vegetables especially Urui/Hasta Monta and others. 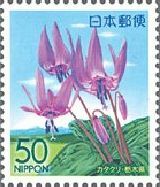 Here is a simple recipe for two wild mountain vegetables (Sansai in Japanese) including Urui/Hosta Montana</strong> and Fuki/Giant Butterbur. Hosta Montana: as much as you like! Naturally you can use other wild mountain vegetables. Ice cold water: 340 ml (1 + 3/4 cups) Remember that the water must be ice cold! 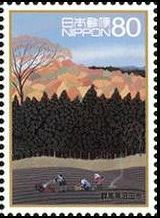 Dashi: 200 ml (1 cup). Vegans and vegetarians should check Vegan Dashi Recipe! First prepare the tenpura batter by first mixing ice cold water with egg until smooth. Then incorporate flour little by little and beat until smooth. keep cold into another bigger bowl filled with ice cold water (not ice only as it would not keep the batter cold enough! Heat the oil. It must be 170 degrees when you are ready to fry the tenpura. Cut the Giant butterbur in adequate-sized pieces. Sponge off any humidity. 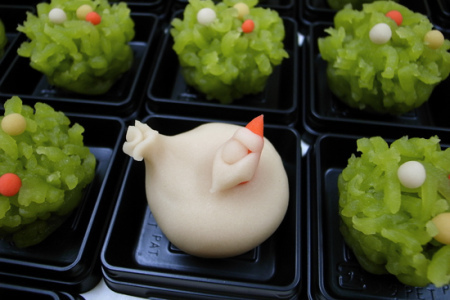 Then as it is quite a sour plant dip them in a mixture of sake and soy sauce. Shake off excess seasoning. Dip into tempura batter. Shake off excess batter and “slide” vegetable in the oil. By “Slide” I mean no “Throw” or “drop”! Take the vegetable by one end, bring the other end into the oil and “pull” as if you wanted to spread the vegetable over the oil. When cooked (don’t overcook!) take out and lay on cooking paper/grill. As for the urui, since they don’t need any extra seasoning, cut them into appropriate size, dip them either one at a time or two or three together (hold them together by one extremity all the time! ), dip into batter, shake off excess batter and “slide” them in into theoil. You ca serve the above with a small plate of fine rock alt, pepper, or curry powder or even matcha powder! Over a strong fire heat the mirin in a pot, ten lower the fire. Add soy sauce and dashi. Heat for a little while and pour into a dipping cup/bowl. 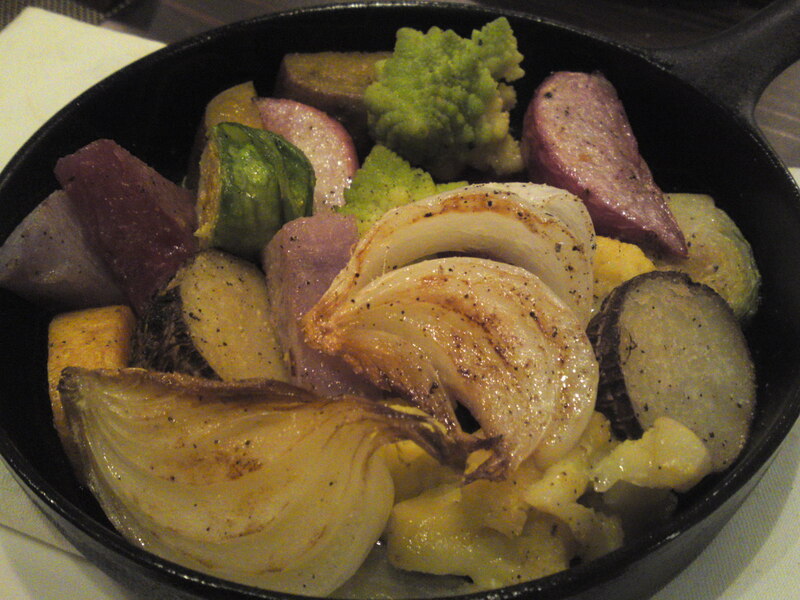 Italian Gastronomy: Local Seasonal vegetables Skillet at Soloio in Shizuoka City! When a seemingly simple dish is a discovery! 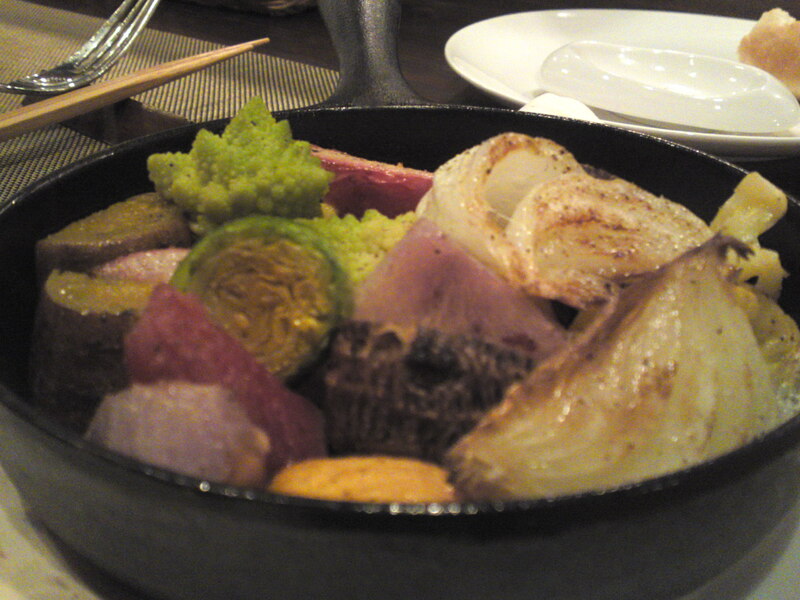 One overriding reason why I patronize Solio Italian Restaurant in Shizuoka City is that Chef Takehiko Katoh/加藤武彦さん uses exclusively seasonal ingredients especially when it comes to vegetables, especially local ones or from his own garden! 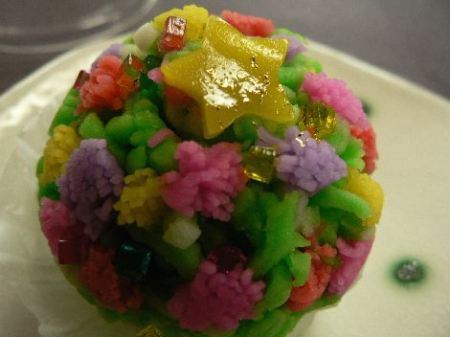 Chef Takehiko Katoh/加藤武彦さん uses only olive oil, salt and paper. 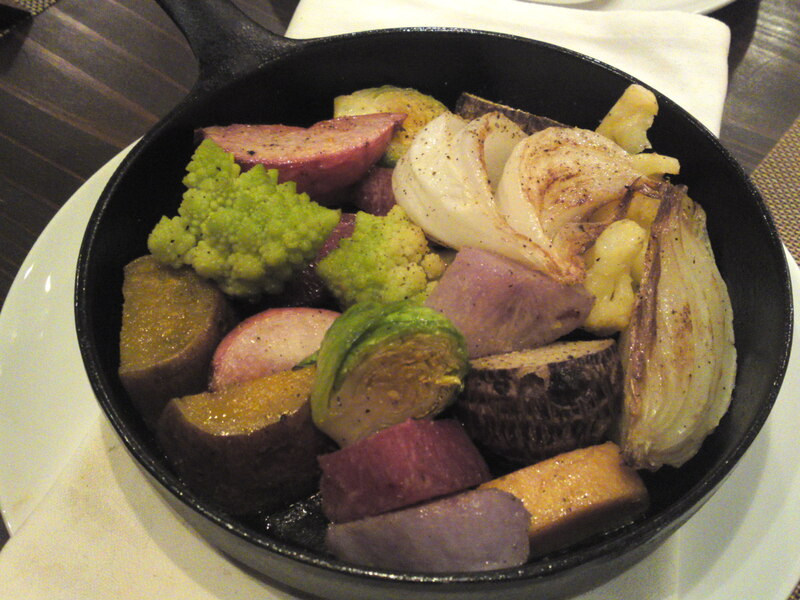 Cooking the vegetables in a skillet without a lid over a fire and last inside the oven helps maintain the vegetables shape, color and consistency. A simple and sublime way to enjoy vegetables! Incidentally it becomes a vegan dish as well! 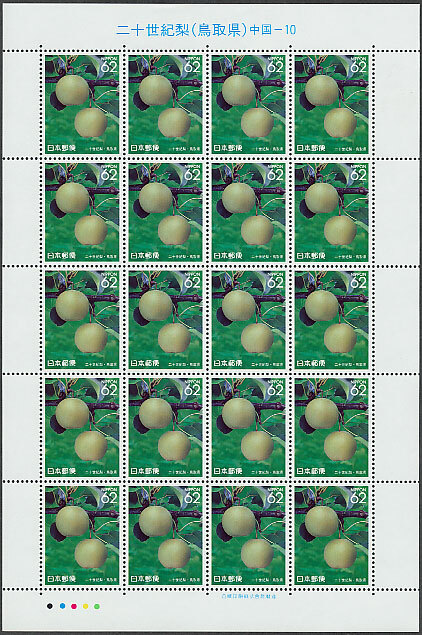 Vegetables & Fruit on Japanese Stamps! 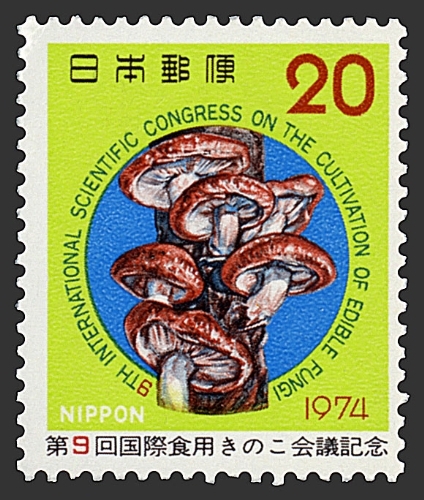 Arguably the first Japanese stamp on food, be it vegetables, fruit or else! 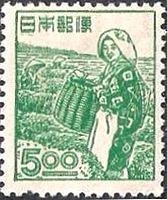 Green tea being hand-picked in Nihon Daira, Shizuoka City! 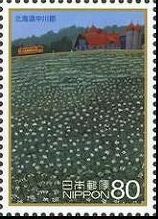 Japanese gastronomy having been just awarded World Heritage status after the French Gastronomy I checked what vegetables and fruits were celebrated on Japanese stamps! There are quite a few! 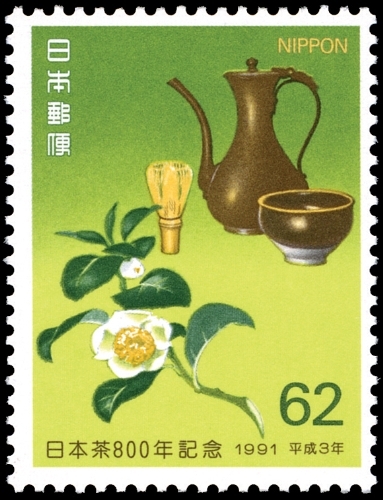 Another tea picking stamp, probably modeled on Shizuoka green tea! Green Tea picking in Shizuoka in front of Mount Fuji! Another one exactly the same theme! 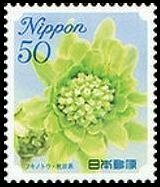 Green tea flowers on a regular stamp! Green Tea and Green Tea Ceremony! Apples, Taro Roots, Japanese Nashi Pears, Turnips and Grapes! Squat Persimmons, Green pak Choi, Chestnuts, Sweet Potatoes and Pears! 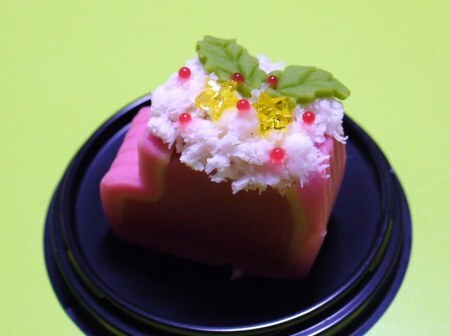 Benihana/Saflower used as natural coloring in Wagashi Cakes! Fukinoto/Giant Butterbur, a famed Japanese wild mountain vegetable! Junsai/Water Shield, an aquatic plant used as a vegetable! 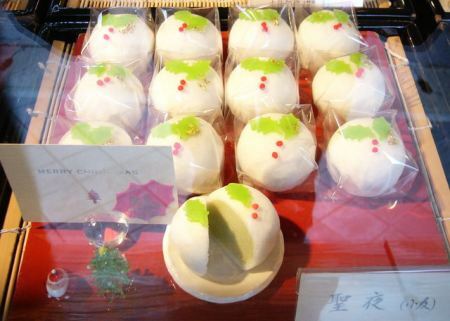 Katakuri, the main source of native starch in Japan! Konnyaku Field/ konjak, konjaku, konnyaku potato, devil’s tongue, voodoo lily, snake palm, or elephant yam! I’m sure I missed some! Help! 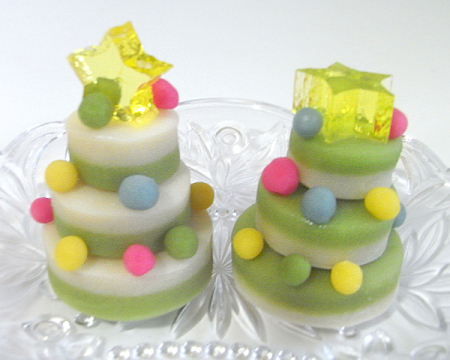 Vegan Christmas Cakes & New Year Confectionery: Japanese Wagashi! 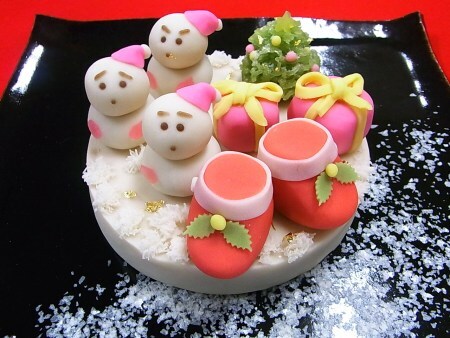 Here are some more suggestions for Christmas Cakes through re-published articles! NOTE: I’m an unrepentant agnostic hedonist (and an omnivore to boot! ), but since some of my vegan and vegetarain friends are Christian, I hope these pictures will inspire them! Bring your forks and knives! 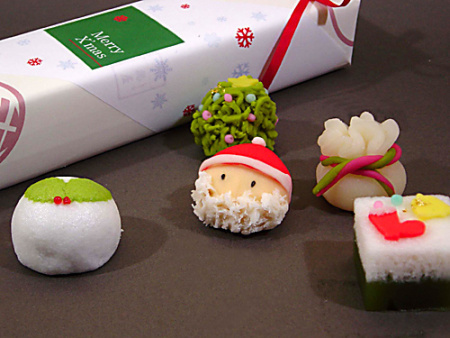 Pity you have to eat it! 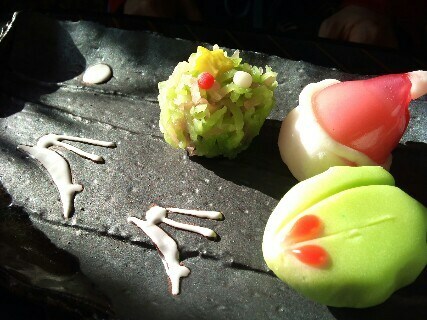 They almost look like sushi! Natto is a very interesting food for vegans and vegetarians (I’m not but I care!) as it contains abundant healthy and vital ingredients. 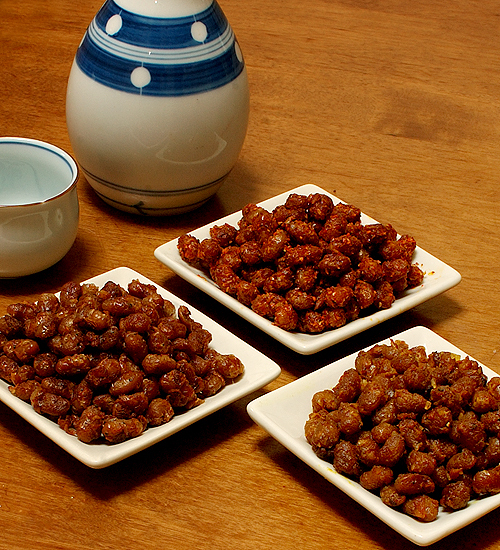 Check the Natto/Fermented beans recipe if you want to make some yourself! Here is a recipe to accomodate it into a tasty snack or appetizer! Good quality natto sold in shops should be vegan, but if you are not sure make the equivalent of three small packs. Very economical! Pour the oil in a saucepan. Add the natto. Cook on a low fire. Sti with chopsticks all the time. It will take time for the natto to cook and absorb all the oil. Do not hurry. Just keep stirring gently with the chopsticks! When the natto has absorbed all the oil and taken the aspect of peanuts the beans should separate from each other. You can switch off ht e fire then! 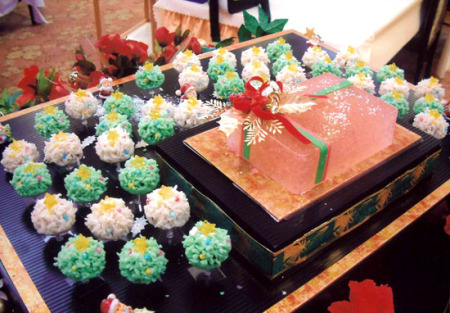 let the natto cool for best taste as its water will disappear. Sprinkle with some good quality salt. Since you have 3 packs you could always present into 3 different small plates seasoned differently with above optional spices!